Walking home after work yesterday, I was so happy to see Macy’s Herld Square’s newly renovated beauty department’s display windows unveiled (wow that was a mouthful). Basically directly across the street from Sephora on 34th street, the windows give you a look into many of the same brands Sephora carries. From this picture alone you can spot Stila, Benefit, Clarisonic, Tarte, Kiehl’s and Blow Pro. In addition to these boutique, or “Impulse”, beauty brands, Macy’s also carries your standard department store makeup brands, but done in a very different way. Check out MAC and Chanel! Coolest MAC counter I’ve seen! Almost a mini Chanel store within Macy’s. You can see a little bit of the Bobbi Brown shop behind it. 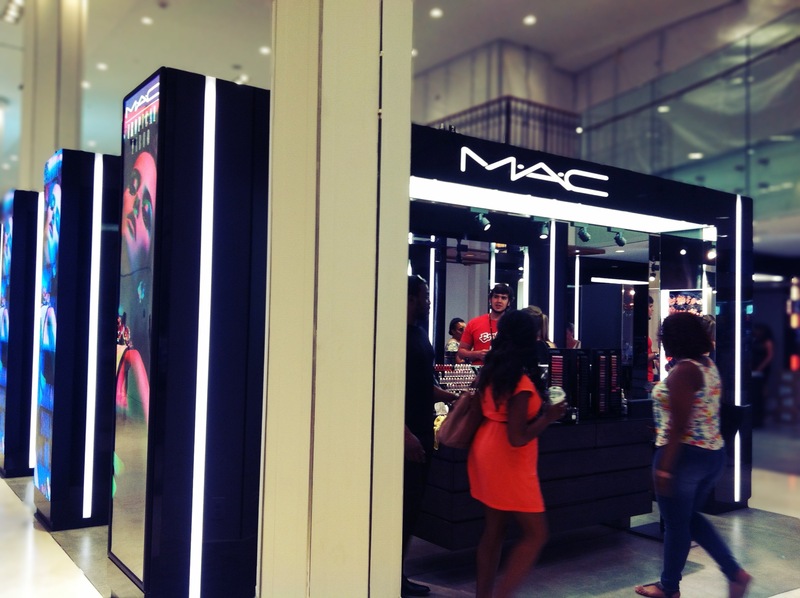 While there are still many traditional makeup counter setups, I love the way a few brands such as MAC and Chanel have been treated, so it almost feels like you’re in that brand’s makeup store within Macy’s. 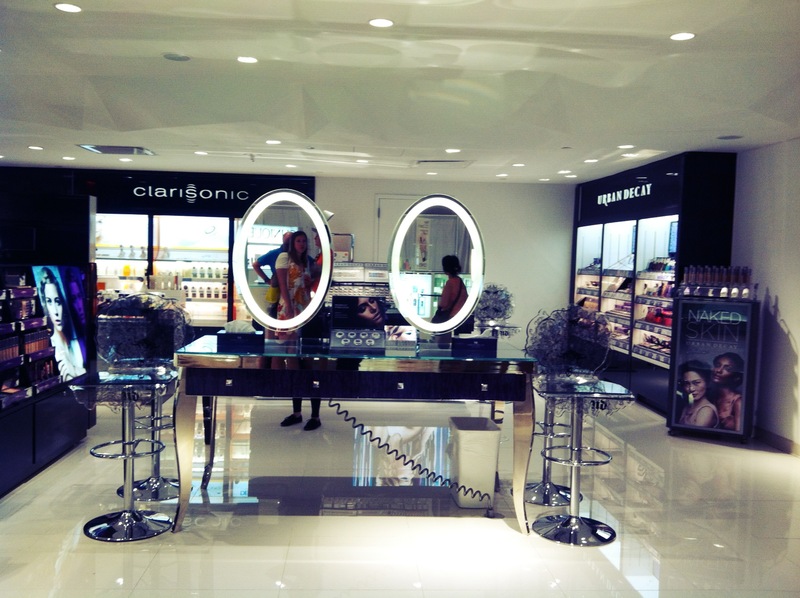 The impulse beauty section, with those boutique brands that Sephora carries, is also very cool. Because it’s set up with testers and displays where the customer is able to test and try themselves. No pushy sales people trying to push products on you. The new beauty department also features The New York Blow Dry Bar. In addition to selling their hair products, you can have your hair blow dried or done in an updo. A GENIUS concept I think, since many people come to Macy’s to get their makeup done for special occasions. Now you can get your hair and makeup done in one stop! And guys, don’t feel left out. There something for you, too! 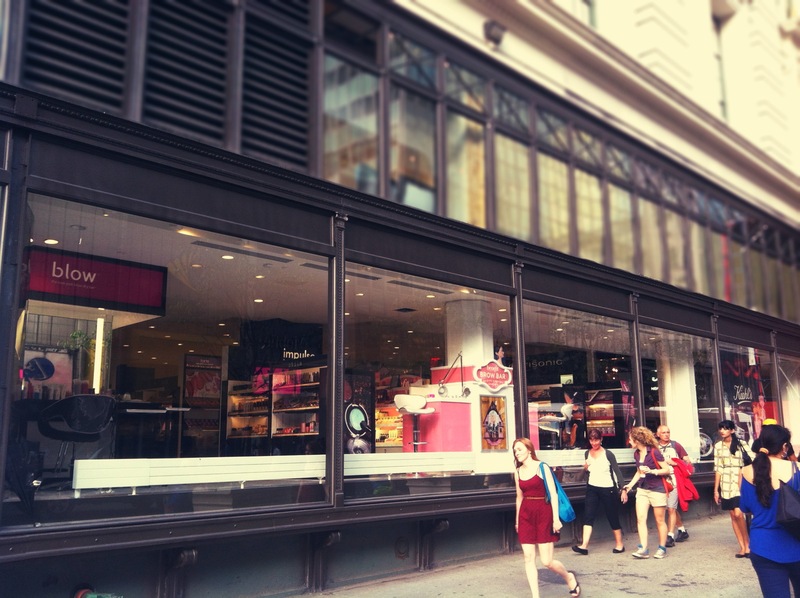 Check out the 7th ave entrance, which features all of the mens cologne counters in one convenient place, along with skincare items from Clarins, Clinique and Shiseido to name of a few. There’s even an art of shaving section, where you can come in for a shave! All in all, a big thumbs up to the World’s Largest Store for making a beauty department that is truly interactive and engaging to the customer. By creating an open space, and not keeping beauty brands confined to counter spaces, I think it’s definitely much more inviting to the customer to come and play. 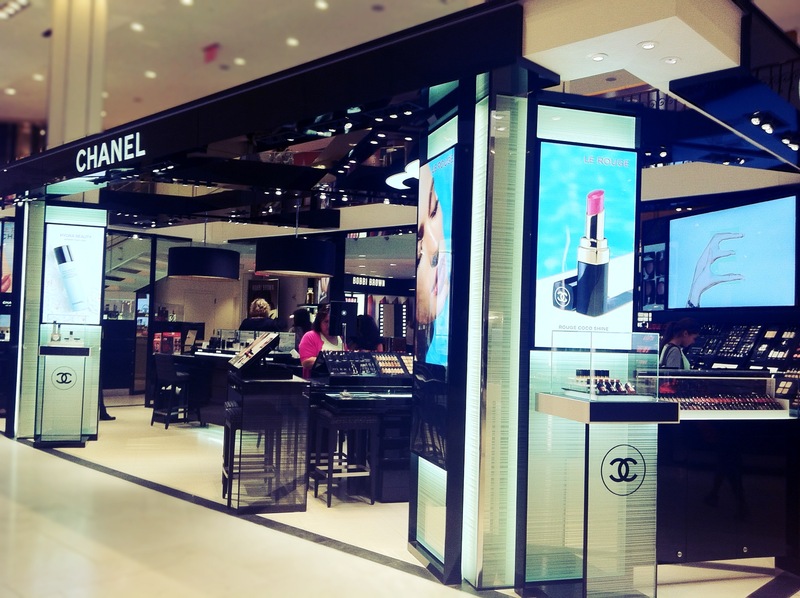 Although renovations are continuing throughout the store, with the beauty department alone is worth the visit! Tags: MAC, macy's, men's products, NYC, urban decay. Bookmark the permalink.